UNDER CONSTRUCTION: THAT'S A WRAP! I love wrap. Gift wrap. Wrapping at work. Rap. I just wrapped up working on season 8 of The Office. 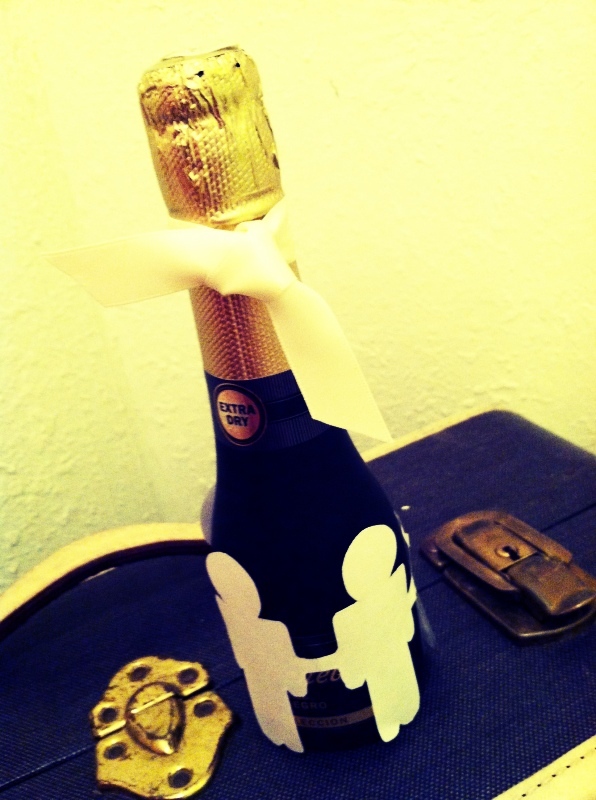 To celebrate, I wrapped up champagne splits in some Dundler Mifflin paper dolls and gave them to the gals at work. Thanks for making the last 9 months lovely, ladies! Now... I'm off to be Enlightened! IN IT TO PIN IT!